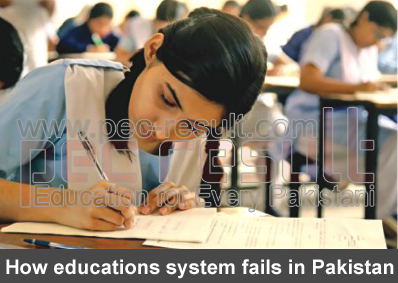 How education system fails in Pakistan? Ms.Yousafzai is a citizen of Pakistan, she lived in Swat Pakistan. But one day when she was coming from her school to the home when some gun men attacked on her school van and they shot her along with her two friends. And Pakistani’s schools and its education system is in such a bad condition. While Malala’s painful and horrible experience won the global attention towards the problems for the girl’s education in Pakistan, her efforts and sacrifice for betterment of the education and schools in Pakistan and especially for girl’s education are admirable. But these are not unlikely to succeed in improving education system, that’s because so many barriers are to the quality education in Pakistan that are much greater than a some of Taliban extremists. Because we all would be disgusted by the violence by the extremism of Taliban, but it can’t stop us to understand the true villains. These were not the Taliban who made such a material for study to the students in school who made the children baseless, who built the schools wall less, water less and without bathrooms. This is the gift of our corrupt officials and politics—it does not matter that it was democratic or military. Failing of education starts from beginning but they made it more worse in 1970s and then so on worse and worse, different government were so harmful for this, Zulifqar ali Bhutto nationalized it by announcing the same salary package to all teachers and tenure, Gen Zia “Islamized” it, Banzir Bhutto and Nawaz Sharif also do same in their tenure and then Gen. Pervez Musharraf built and hired more thoughtlessly. Unluckily if we were miraculously get 25 million children to that schools that were not danger for their live, we must be much far to solve the problem of the education in Pakistan. In Pakistan education system is treated with a no of faults, improper and low quality school buildings and unqualified and not interested teaching faculty, most of them are not able to teach that course which they have to teach and if anyone is able to do this they did want to do this because they did not care about the future of the students and they are traitor of this profession. This is not any new thing which you know actually this is all politics of Pakistan which become the reason of failure of students of Pakistan up to so much extent and no one is the victims of all this your kids also includes in those children who suffered by them and our too. The only education measuring institute issued the most recent report which shows that about 50 per cent clearly shows their talent in their mother language or national language other than 6 year olds, the number of English is very low and also the arithmetic score for 7 year old student is only 50%.